NEW YORK — The nation’s federal financial watchdog said Wednesday that it plans to roll back most of its consumer protections governing payday lenders. The move is a win for the payday lending industry, which argued the government’s regulations could kill off a large chunk of its business. 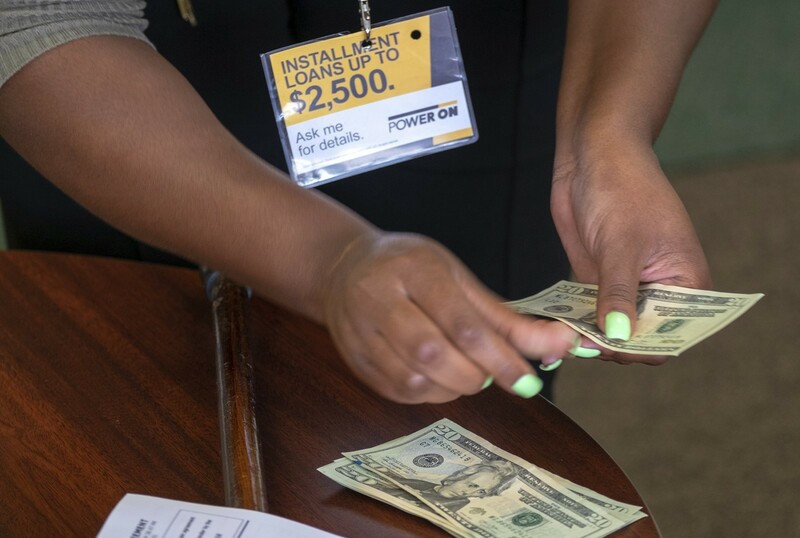 It’s also a loss for consumer groups, who say payday lenders exploit the poor and disadvantaged with loans that have annual interest rates as much as 400 percent. The cornerstone of the regulations was a requirement that lenders make sure borrowers could afford to repay a payday loan without being stuck in a cycle of debt, a standard known as “ability to repay.” This standard would be repealed under the new rules. Critics of the payday lending industry have argued that without these underwriting standards, the Consumer Financial Protection Bureau’s new regulations are effectively toothless. The announcement was the first rollback of regulations under the CFPB’s new director, Kathy Kraninger, who took over the bureau late last year. Mick Mulvaney, who was appointed by President Donald Trump’s as acting director of the bureau in late 2017, announced a year ago that the bureau was intending to revisit the rules. Under President Barack Obama, the CFPB spent close to five years working on a process to nationalize the regulation of the payday lending industry, which is mostly regulated at the state level.